Thua Thien-Hue (VNA) – A somersault performance by artists from the Vietnam Circus Federation kicked off the 2016 International Circus Festival in Hue city, the central province of Thua Thien-Hue on May 28. The event, the fifth of its kind, featured 11 art troupes from Cambodia, China, Laos, Malaysia, Thailand, Ukraine and Vietnam. Their performances included magic shows, juggling, roller skating and clown acts. 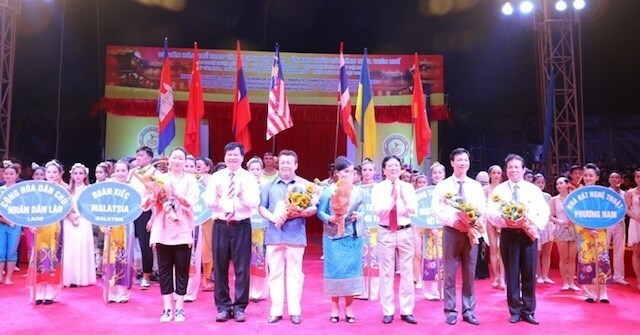 According to Deputy Minister of Culture, Sports and Tourism Vuong Duy Bien, the festival is a significant cultural event, which introduces national identity and cultural values through circus art and enhances friendship among participants. He also noted that the festival creates an opportunity for domestic and foreign circus artists to showcase their talents and exchange experience to their craft. Circus performances are scheduled at 8pm from May 29 to June 2 at Hue city’s Sporting Centre.